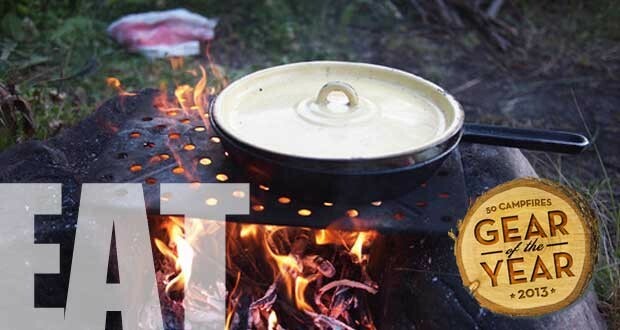 If you are new to the camping world, learning to efficiently cook at a campsite can be tough. Having the right gear is key to make cooking easy and enjoyable. 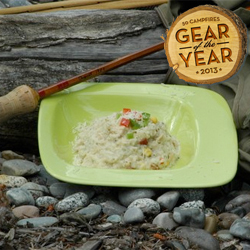 The editors here at 50 Campfires have selected the 5 pieces of gear that make meals at your campsite a breeze. 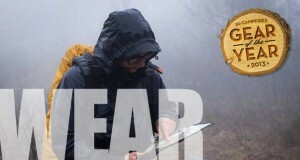 Read below for our insights on the gear of the year. 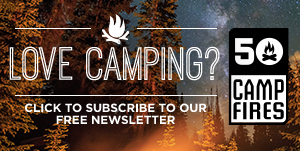 Even when car camping we’re always looking to save space in our camping totes. 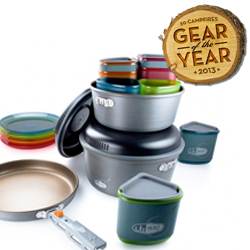 The Pinnacle Camper is your answer for a compact cooking set that has everything you need. The Pinnacle Camper is designed for 4 people. Everything is nested together and fits in the 3 liter pot. 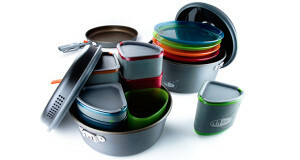 It also comes with a 2 liter pot, 9″ frying pan, 4 insulated mugs, 4 bowls, 4 plates and an interchangeable pot gripper. The best part is it all fits into a carrying case that doubles as a sink for dishes! Yes, we’re excited about a sink. It’s a solid cooking set and takes up minimal space. You want to relax when camping and for some, that means not having to cook. You’ve probably had a terrible frozen or pre-cooked meal before that left you with a bad impression. 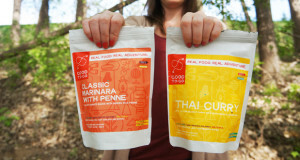 Give Backpackers Pantry a try on your next camping trip you will not be disappointed, we promise. They have a meal option for any craving you have. The best part is how simple it is to make. 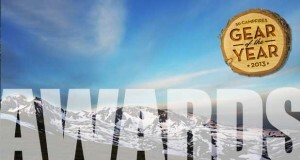 For most meals all you do is boil water, add it to the bag, seal it and let stand. It is ready to eat in 10-15 minutes. I can’t say enough about how good these meals really are. It’s like having a personal chef at your campsite. One of our biggest pet peeves while camping is how fast the ice melts in the cooler, leaving a soggy, unappetizing mess. 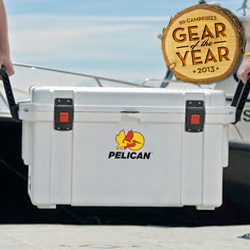 If you like to go on long camping or fishing trips, the Pelican Pro Gear Elite Cooler is a must have. The 35 quart model is a great size to fit your family’s refrigerated products. 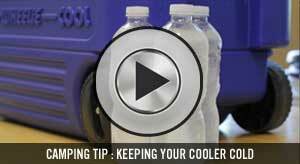 This cooler can keep ice for up to 10 days. Yes, you read that right. 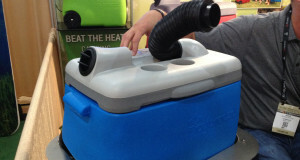 It’s easy to move with molded-in and hinged-handles and even ties down easily. It is also certified bear resistant, which is comforting. 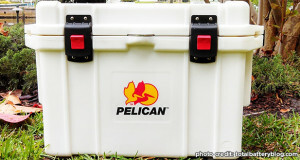 The Pelican Elite Coolers are guaranteed for life and truly take the camping cooler to the next level. We love to cook at the campsite but get sick of hauling the entire kitchen in the car. The GrubHub has solved this problem. 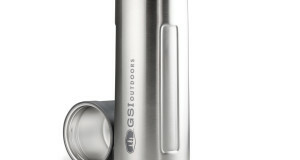 It packs down easily, sets up in 3 minutes and has everything you will need to get a great meal ready. The GrubHub has plenty of table space, a sturdy spot for a camp stove, a kitchen sink, and hangers for your paper towels or lantern. It’s a single portable unit that allows campers to store all of their kitchen camping gear, and it keeps things organized! 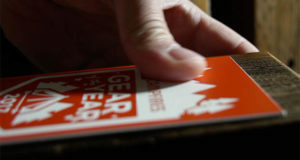 The GrubHub is not only practical but stylish and will easily fit in a vehicle along with the other camping essentials. Not all campers have a tub with everything they will need for camping. If you’re a first time camper or getting back in to it, Ace Camp Kits are a perfect way to get started with everything you need to go tent camping. 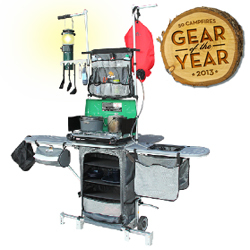 Packed full of essential items, Ace Camp gives you the ability to just grab and go on your next camping trip. 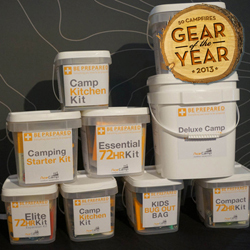 They have four camp kits to choose from: a camping starter kit, deluxe camp kit, camp kitchen kit and a deluxe camp kitchen set. 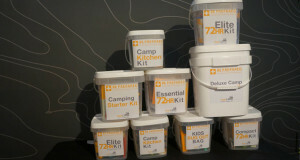 We are really digging the camp kitchen kits. 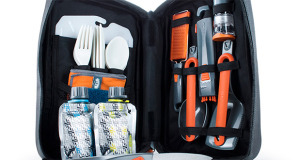 With these kits you can easily make a meal at the campsite without worrying what you left at home. 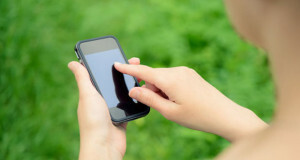 Ace Camp Kits – Making it easy for everyone!